Are you looking for a university that is not too big and not too small, and has a highly regarded liberal arts program for a great price? Are you looking for a campus that has a large, eclectic, warm, tight knit Jewish community? Do you appreciate a Jewish community marked by cooperation, growth and acceptance rather than cliques and labels? Are you looking to learn more about Judaism and become more involved in Jewish life? Are you looking for a phenomenal Shabbat atmosphere and Choosing a campus is an important decision, one that can have a huge impact on your future.exciting Holiday celebrations? Is having a school that closes for Rosh Hashana, Yom Kippur and the first two days of Passover and where instructors respect all the Jewish holidays important to you? A place you can enjoy Torah classes any day or evening of the week? Daily Services? A kosher Kitchen? A place where you can get involved and make a difference to the wider Jewish campus community? Enough Jewish events in any given week that you have to make some serious choices? Then Binghamton is just the place you were dreaming of. Choosing a campus is an important decision, one that can have a huge impact on your future. To help you make your decision we invite you to browse our site and familiarize yourself with the many programs and services the Chabad House Jewish Student Center has to offer you. There really is something for everyone. So let us know upon your acceptance, we will make sure to keep the light on for you! 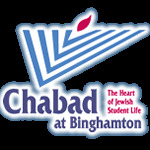 Below please find links with various resources & some basic information about the Chabad Center and Jewish life at large – at Binghamton University.